First used for fire detection in 1914, Sugarloaf has had a long history. The first station was a camp. In 1924, a D-6 cupola cabin was added. This was replaced in 1949 with the present L-4 cab, which was moved from Lion Rock, where it had been built in 1932. 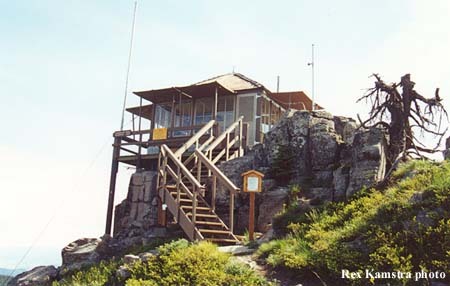 The lookout was threatened by the Tyee fire in 1994. While the cab survived, the outhouse didn't. 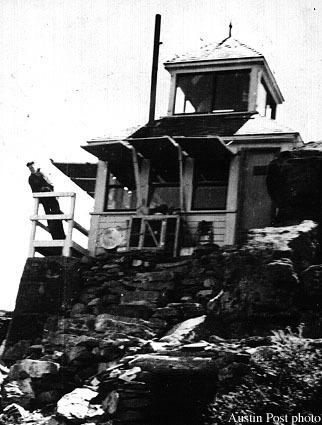 The lookout is on the National Historic Lookout Register, and is staffed every summer.